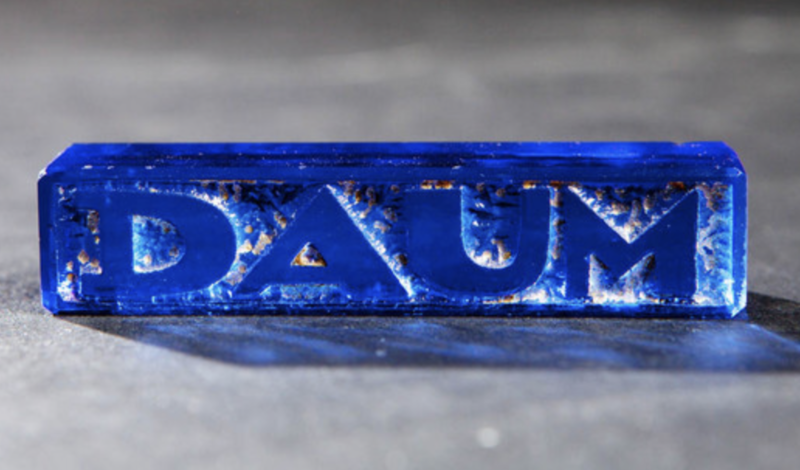 Very rare art deco Daum publicity cube in a strong blue color with a touch of gold and heavily acid etched. A must for every Daum collector of art deco Daum to put in front of his Daum vases. Small chip on top.